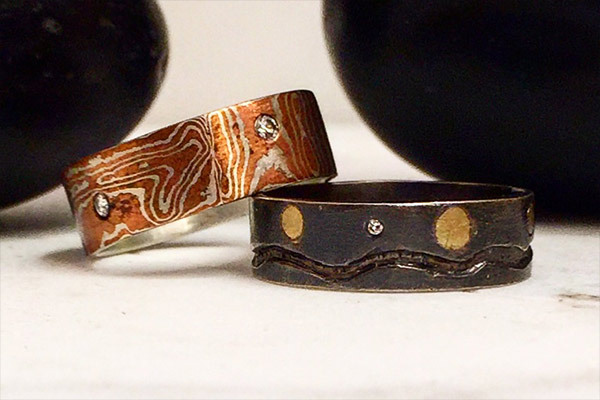 Mokume-gane sterling silver, copper and gold inlaid wedding rings. Nature motifs of sky, stars, moon, river, and mountain. Call for prices. Prices may dependent on market fluctuations in the cost of materials. Please call the store for prices.